Signature Entertainment will release Imperium on DVD, Blu-ray and Digital HD in the UK on 7th November. Below the artwork. 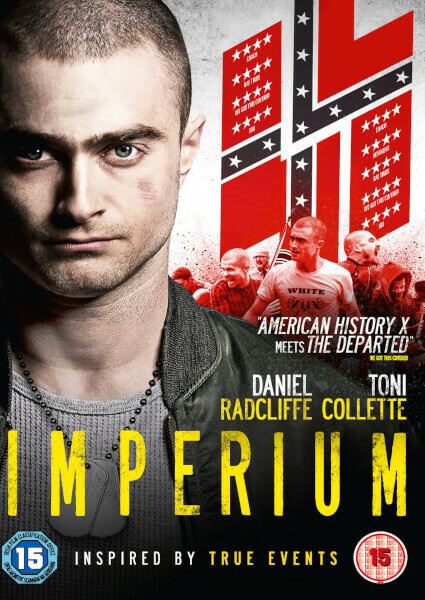 Inspired by real events and the experiences of ex-FBI agent Michael German, IMPERIUM follows Nate Foster, an idealistic young FBI agent who is selected to go undercover amongst a group of white supremacists suspected of initiating a terrorist plot. Immersed in a deeply unsettling, hate-filled world, Nate must fight to maintain control of his own beliefs and principles whilst working to identify the threat and keeping his true identity and motives a secret. 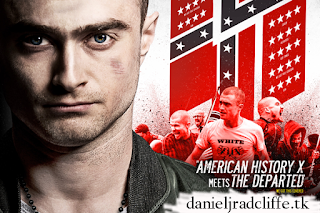 Starring Daniel Radcliffe as Foster in what is being hailed as his more powerful, transformative role to date, and featuring an outstanding supporting performance from Toni Collette as his wisecracking fellow FBI agent, IMPERIUM also features a stellar supporting cast, including Burn Gorman, Tracy Letts, Nestor Carbonell, and Sam Trammell. Ragussis wrote IMPERIUM alongside Michael German and with German’s own experiences in the FBI informing the script, the result is an exhilarating, unforgettable thriller that underscores the fact that Radcliffe has long since stopped needing the help of a boy wizard to deliver his own searing dose of cinematic magic.